For most of us, institutions like the United Nations and the OECD exist in a sphere far removed from our day-to-day lives. In some ways, they seem impenetrable, and surreal, and for students chasing a future with one of these organisations, the path to their doors is far from clear. 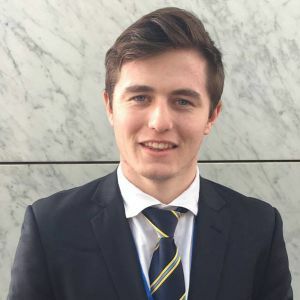 The Global Voices Scholarship gives students, like Jack Dalrymple, a chance to visit and connect with these organisations, fostering practical, hands-on experience for our future leaders. Jack Dalrymple has always wanted to work in the not-for-profit sector. It was this, and a love of economics that led him to a Bachelor of Commerce at the University of Melbourne, for its versatility, and the options that it opened up for him. 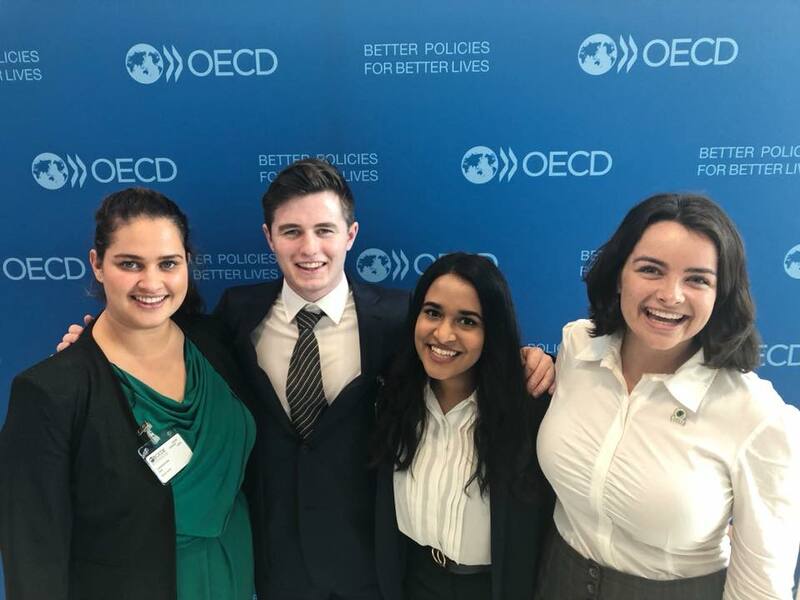 When the opportunity to apply for the Global Voices program arose – a not-for-profit that focuses on creating opportunities for practical experience in the fields of diplomacy, policy and advocacy – Jack was an eager candidate. “I heard about Global Voice half way through last year, because they had another program running with the International Monetary Fund (IMF) and the World Bank. I did some research over the course of the following year, and I was just overwhelmed by what they do. Essentially, they partner with universities to facilitate youth delegation to international summits, including the IMF/World Bank, the World Health Organisation (WHO), and the Organisation for Economic Co-operation and Development (OECD)." Jack Dalrymple and the Global Voice scholarship members. 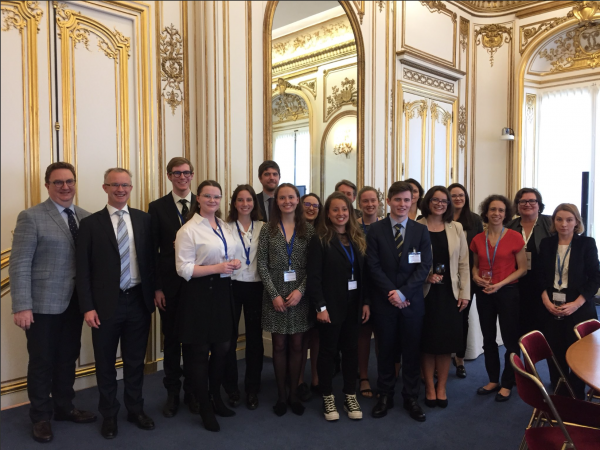 It was the latter of these programs that Jack found himself applying for and eventually accepted into, and as a recipient of the Global Voice scholarship, he was on his way to Paris, and the OECD. Now, Jack is working on the final part of the Global Voices experience, a research proposal, about bridging the divide between big businesses and small businesses, when it comes to digitalisation. “There’s currently a big gap in what large businesses can do when they take on digital technologies, and what small businesses can do. Jack Dalrymple and his team. What we find is that whenever a business gets involved with social media promotion, there’s pretty much a universal guarantee of higher sales, higher revenue, and higher profits overall. But a lot of small businesses don’t seem to invest in digitalisation and take up those benefits, so they’re falling behind larger businesses that can put the resources behind it.